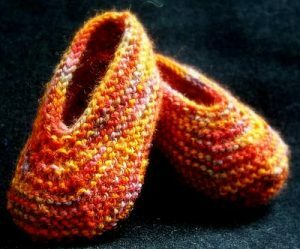 Baby Slippers Free Knitting Pattern. Left over sock yarn pattern for baby slippers! These slippers are newborn size. I would love to have the pattern for above pattern.